​The largest gem and jewelry show in the world is held in March in Hong Kong. Sponsored by the Hong Kong Trade Development Council, it features twin venues, one for jewelry and one for colored gemstones, diamonds and pearls. This year, the show attracted not only a record number of exhibitors but also a record number of visitors. One of the more remarkable gems seen at AWE was this 200-ct unheated rough tanzanite, along with two faceted heated tanzanites displayed by Japan-based Anjali. Pendant in purple sapphires, with blue sapphires, rubies, amethysts and diamonds arranged as splashes of rich color, by Hong Kong-based Green G.
South Sea Golden Pearl, gold and diamond brooch by Philippines-based Jewelmer. Winner of the Craftsmanship Award in the International Jewellery Design Excellence Award by Viktor Moiseikin for his "Firebird" ring and earrings in demantoid garnet, sapphires and diamonds set in gold. Exquisite suite of Imperial topaz from Constantin Wild, composed of 29 pieces totaling 174.22 carats. “Celestial Circle” ring made of a rare 20-carat unheated Burmese sapphire, surrounded by 12 carats of VVS white diamonds, designed by Alessio Boschi with gems provide by Germany-based Caram. A diamond, pearl, and enamel brooch by Japan-based May Jewelry. Selection of lovely indicolite crystals from A.A.Y. International Mining Co. Optimism ran high as the twin gem and jewelry shows kicked off in Hong Kong. Opening first was the 4th Hong Kong International Diamond, Gem and Pearl Show at Asia-World Expo (AWE), February 28 to March 2, showcasing a vast selection of raw materials, including loose diamonds, colored gems of all types and pearls of every provenance. The 34th Hong Kong International Jewellery Show opened its doors from March 2 to March 6 at the Hong Kong Convention and Exhibition Centre (HKCEC) on Hong Hong Island with a wide assortment of beautiful jewelry from brands, manufacturers and artist-creators. At the HKCEC, nine themed zones hosted a range of elegant exhibits, plus national pavilions that displayed jewelry from around the world, of every type, from inexpensive mass-produced to luxurious one-of-a-kind pieces in silver, gold and platinum, as well as gold-plated items. There was something for every taste and budget. Over at AWE, the show was divided into three zones, for loose diamonds, colored gems, and pearls. For purchasers of raw materials, the show was the main source of everything, from small melee to rare unheated stones to unusual and museum quality stones and minerals. 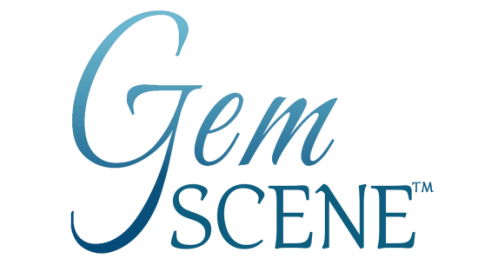 There were no particular new or major trends seen in either jewelry or gemstones. Just about everything could be found at the Hong Kong show. In colored gems, the most popular were sapphire, ruby and emerald. Blue sapphires were very popular as were the perennial rubies, many of which are coming from Mozambique. The use of the “big three,” in engagement rings is also fueling demand for these gems. 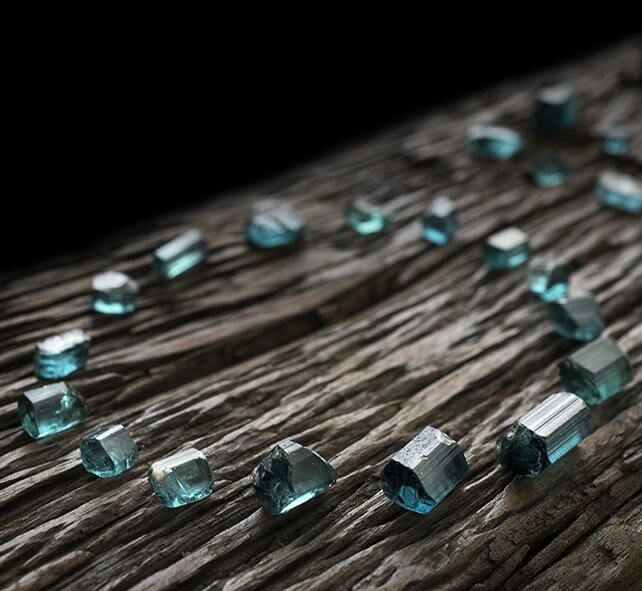 In terms of emeralds, a number of exhibitors were talking about the recent find in Ethiopia, while others were delighted to find remarkable blue tourmalines coming out of Nigeria. Yet, there was no shortage of other popular gems. Paraiba tourmaline continues its meteoric rise in popularity, and was seen as both loose gems and exquisite finished jewelry. Spinel in all colors was also a favorite, with morganite gaining increasing attention. From a price perspective, nearly all dealers I spoke with indicated that the very high end and the low end are doing better, with prices fairly stable and even rising on the upper end of the quality spectrum. Prices in the mid-range, however, are still undergoing a correction. Sailesh Lakhi, CEO of U.S.-based Sparkles and Colors, explained, “Demand for high quality stones is up—gems above $200,000 sold well—but the middle is not doing that well, i.e. in the 5 to 15-carat range.” He also mentioned that rose cuts and moonstone saw a fair demand and that, overall, the show was good. As usual, the winners of the two major design competitions organized by the show were announced and showcased. First was the Hong Kong Jewellery Design Competition, divided into a student group and an open group for designers in Hong Kong. Secondly, the biennial International Jewellery Design Excellence (IJDE) Award recognized outstanding designers from around the world. This year, the IJDE received 165 submissions from winners of various jewelry design competitions from 27 countries and regions. The winners were announced at a cocktail on March 2. In designer jewelry at the show, everything was available, but popular motifs were floral and animal themes, especially butterflies. Rings continued their diversity, with multi-finger, full-finger designs and those linked to hand decoration. Exotic earwear was also apparent at many booths. Styles varied from earcuffs to asymmetrical designs to ear climbers and other unusual earring combinations. Steps in the creation of the unique Buddha Diamond, a modified brilliant cut with 58 facets by Belgium-based The Buddha Diamond Company. Finalist in the International Jewellery Design Excellence Award 2017 by Vaishal Jariwala (India) for this wrist-finger decoration, “A Cause You Can Believe In,” crafted in diamonds, tanzanites and emeralds. U.S.-based Sparkles and Colors showcased this rare 70.08-carat unheated yellow Ceylon sapphire. Statement necklace in a variety of gemstones set in gold by Thailand-based Zorab Creation. This beautiful rutilated quartz was seen among many lovely gems at Ben Sabbagh Bros.
Enamel and 18K gold pendant by French brand, Commelin. Rooster brooch for the Chinese New Year in multi-colored gemstones and diamonds in gold by Russia-based Mousson Atelier. Remarkable 12.01-ct Ceylon Padparadscha sapphire from Shaun Gems. A remarkable articulated flower brooch that opens from a bud into a diamond studded flower, in 18K gold by Jizai/Kodama. Student Group Champion in the Hong Kong Jewellery Design Competition by Kwong Wai Shan, for her “Heart Sapling” ring. Pendant made of eight diamonds, of which one is laser-inscribed with a portrait of Jesus by Infinity Cross.